The Group strives to maintain a favorable workplace environment for these human assets, and to provide opportunities for employees to develop their capabilities and find self-fulfillment. 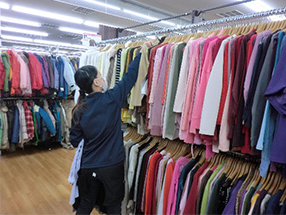 “Human assets” are the source of BOOKOFF’s growth. We believe that the growth and development of human assets equipped with intelligence and resourcefulness leads directly to the Company’s growth. We have introduced the BOOKOFF Career Path Plan to cultivate the human assets that are our most important management resource. The Plan clearly states what employees need to learn and achieve to perform the functions of respective job grades. 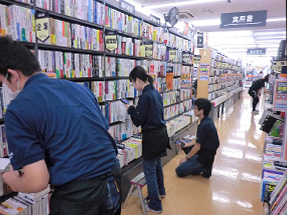 BOOKOFF Group stores are supported by many part-time staff members. We have introduced a system whereby part-time staff members can be hired as regular full-time employees. 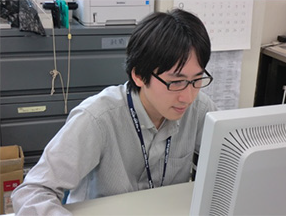 Many of our full-time employees begin as part-time staff members. One of our corporate philosophies is “Providing opportunities for fulfillment both professionally and personally to all our dedicated employees.” To achieve this, we consider it important to harmonize employees’ work and private lives. As part of our effort to balance employees’ work and private lives, we are working to create workplace environments where employees can carry out their work actively and enthusiastically. Employees are able to work within a designated region without being transferred to other parts of the country. When the employee or their spouse is a primary caregiver, consideration will be given when assigning transfers. Employees who have resigned amicably can be rehired under certain conditions. Employees are encouraged to take five consecutive days of vacation in the first and second halves of each year. Maternity leave can be taken from 10 months before the expected date of birth to 8 weeks after giving birth. This leave system for child-rearing can be taken for up to the date the child reaches 2 years of age. This leave system to care for a sick child (prior to entering elementary school) is up to 12 days per year. This leave system to provide nursing care can be taken for up to 93 days per year. This leave system to assist family members receiving nursing care, for activities such as accompanying them to a hospital, can be taken for up to 5 days per year (10 days if 2 or more family members are receiving nursing care). A system is in place for reduced working hours for employees raising children under the age of 3 or providing nursing care to family members. The system sets a minimum of 2 working days per week and 6 working hours per day. The BOOKOFF Group established B-Assist, Inc. in October 2010 to promote the hiring of persons with disabilities. B-Assist was designated as a special subsidiary company in December 2010 under the Act on Employment Promotion etc. of Persons with Disabilities. 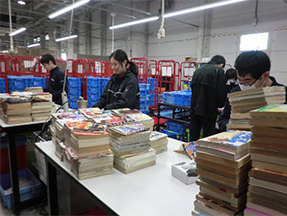 BOOKOFF intends to fulfill its social responsibility by creating environments where persons with disabilities can work with peace of mind, and by promoting the hiring of persons with disabilities. To achieve this, building on the concept of “employee training and development” that has been the driving force behind the BOOKOFF Group’s growth, we aim to create workplaces where everyone can continue to grow together while recognizing each individual’s unique capabilities.